"Nice staff and very good breakfast." Have a question for Koptown Hotel Segamat? "Mall nearby (walking distance in 5 minutes)." 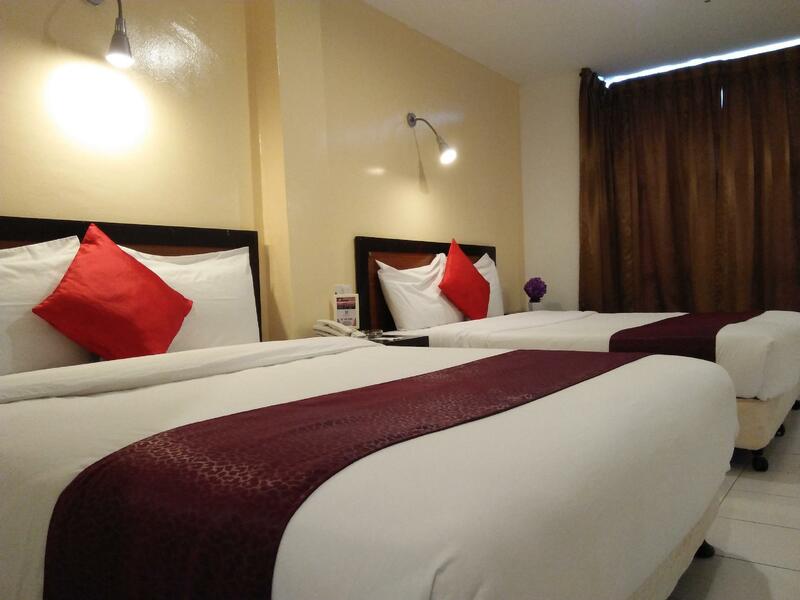 "Will come and Stay again"
Designed for both business and leisure travel, Koptown Hotel Segamat is ideally situated in Segamat; one of the city's most popular locales. The excitement of the city center is only 3.2 km away. For sightseeing options and local attractions, one need not look far as the hotel enjoys close proximity to Segamat Old Town, Rock Garden. At Koptown Hotel Segamat, every effort is made to make guests feel comfortable. To do so, the hotel provides the best in services and amenities. To name a few of the hotel's facilities, there are free Wi-Fi in all rooms, wheelchair accessible, 24-hour front desk, facilities for disabled guests, luggage storage. Step into one of 80 inviting rooms and escape the stresses of the day with a wide range of amenities such as television LCD/plasma screen, internet access – wireless, internet access – wireless (complimentary), air conditioning, desk which can be found in some rooms. Besides, the hotel's host of recreational offerings ensures you have plenty to do during your stay. 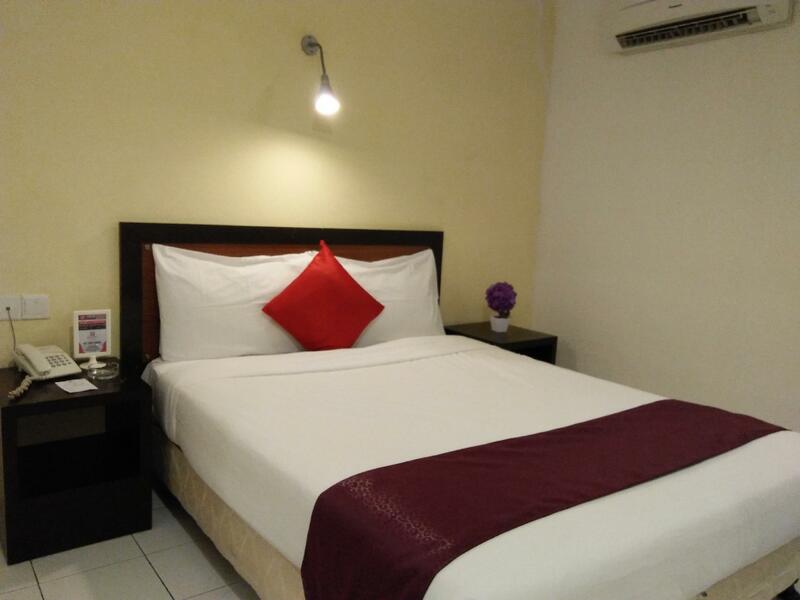 When you are looking for comfortable and convenient accommodations in Segamat, make Koptown Hotel Segamat your home away from home. "Have a great stay at this hotel with value money." Not recommended!Room is very dark and the floor is very dirty. My father has been locked in the washroom and the light of the washroom suddenly broke down when my mum is shower. I have a horrible and terrible night here! No next time! Its a perfect hotel if traveller plan for take a rest.. Easy access.. And easy to find the hotel even travel with bus.. Lots of parking space. Fast check in and check out process. Different breakfast menu everyday.. Just no astro channel. Only have basic tv channel only..
was staying at the superior family room. overall was good, the friendly staff, adequate parking space and strategic location. if only they can put more variety on the breakfast.. the nasi lemak was superb & soto was awesome, if only both are warm.. I reserved 2 rooms on this trip. Upon arriving at 3pm, only one room is available and the receptionist could not tell me when the other room qould be ready. But, whats weird is that when I inssist on the receptionist to tell me when will the other room be ready...voila! I got a room immediately right next door to my first room. Btw, they even charge if you want to extend your check out time, even for half an hour. This happen to me everytime I stayed here. This was not my first time as I've stayed here a few times before. But this will be my last. Have Breakfast and wifi was stable,will stay again next time!!! Price is acceptable and within walking distance to shopping mall. The cleanliness could be improved, there are many yellow dots on the towels. 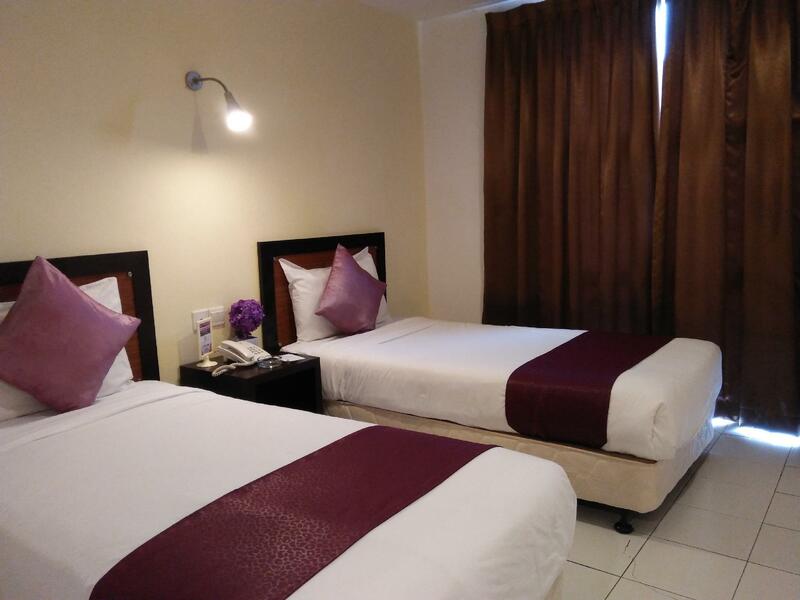 It is just beside the only mall in Segamat, so it is strategically located but also you have to pay parking fee every time you go to your hotel as it shares a parking lot with the mall. The fees could be claimed from the hotel though. I booked the suite room so it is spacious. A nice touch is they prepared 4 canned drinks FOC in the room for us. Breakfast is delicious if limited in choices. TV reception is quite bad and there are few channels. Wi-Fi is good. Near to shopping mall 1 Segamat where you can easily find eateries and entertainment. 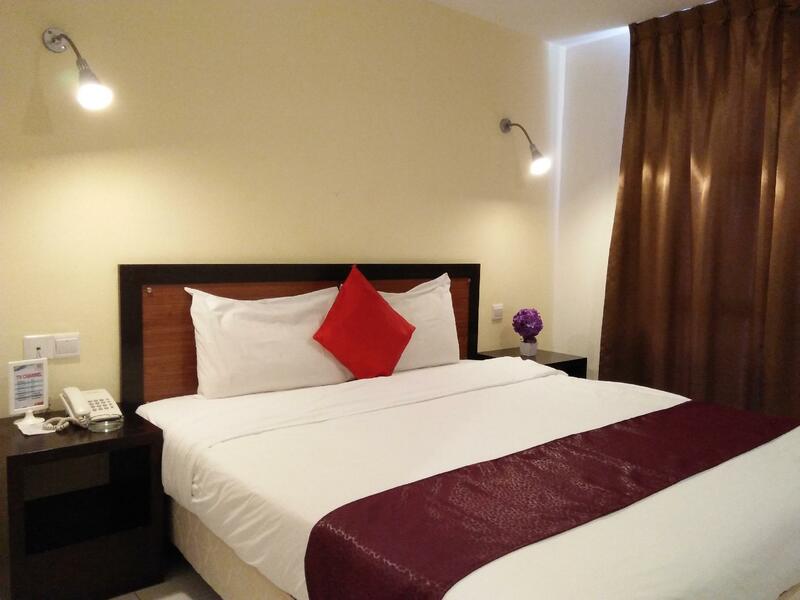 Near to bus station and KTM station, walking distance only. I'm not a fussy traveler, so overall was okay for me except for the toilet room 120. Maybe it's due to the water pressure so whenever you flush the toilet, it will cause you a quite irritating sound, and of course can easily woke us up during sleep. Just thank god we are not bringing any kids or babies with us during this trip or they'll be bothered with the sound. For breakfast, I'm very okay with the food selection provided, there got nasi lemak, lontong, cereals and toast. Well I like the nasi lemak sambal tho. The staffs and security guard were nice, thanks for the hospitality. For improvement, you can fix the irritating sound of the toilet and add more place for hanging clothes (add hooks on the wall also can). Value for money.... just the bathroom smell cockroach a bit. The room is totally different as seen in the photos. The room is a bit run-down and cleanliness level is low. The floor is not clean and you can feel it is a bit sticky. The furniture in the room are dusty. The worst is the bed has bed bug. My friend was bitten by the bed bug on the neck, arms, legs and body. The room is overpriced. 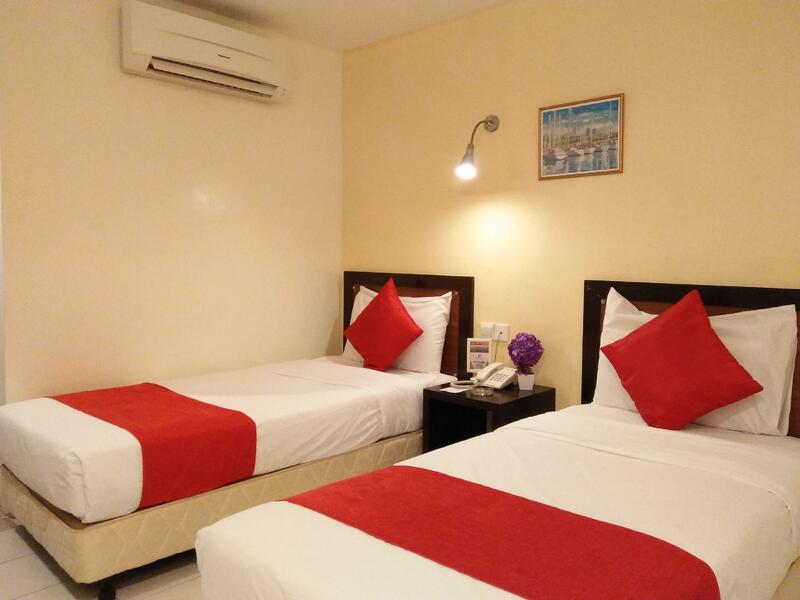 You can get a much better place at the town with a lower price, RM20 cheaper with a bigger and cleaner room. Breakfast was included but only small pack of nasi lemak and mee soup which were cold already. There were also bread and a few choices of kuih. The only advantage of this hotel is it is just beside Segamat Central. Highyly not recommended to stay here. have a great stay at this hotel with value money. and provide with variety of breakfast. will repeat to stay here again. Thanks koptown hotel!